Language development is impacted if there is any loss in the ability to hear. Even a mild hearing loss can dramatically effect a child’s language development. Early identification of hearing loss is key to providing appropriate intervention services to promote language development. 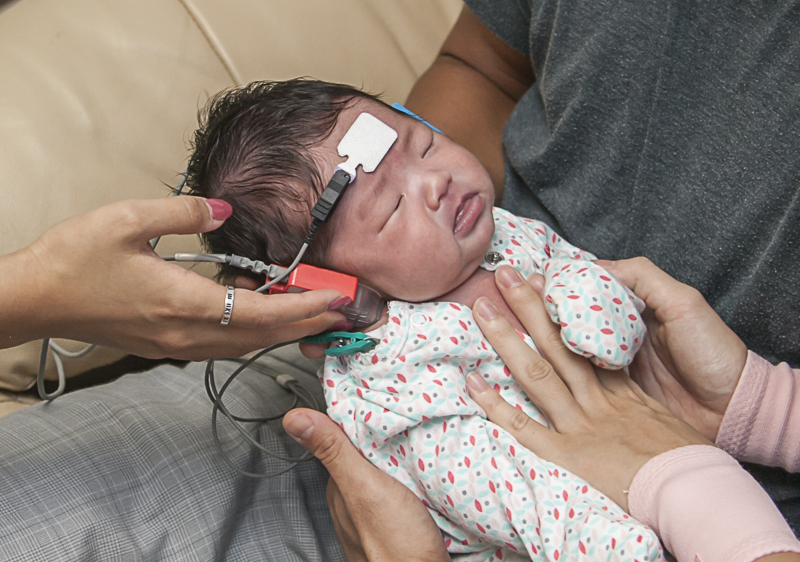 Guam EHDI works to assure that all babies born on Guam get screened for hearing loss by 1 month. If a baby does not pass their hearing screen, a Diagnostic Audiological Evaluation (DAE) will be conducted by 3 months of age. A baby with hearing loss will be enrolled in early intervention services by 6 months of age. If you have concerns about your baby’s hearing, discuss this with your baby’s doctor, or contact Guam Early Intervention System (GEIS) at (671) 300-5776 to schedule a FREE hearing screening. For more information on the Newborn Hearing Screening Program please call (671) 735-2466. FREE HEARING SCREENING services are available for infants and toddlers. [Read more…] about Concerned About Your Child’s Hearing?